Modify installer.sls file. In the example below we use nano, but you could use any other text editor as well. proxy_secret: This is used to provide cryptographic signing, and should be set to a unique, unpredictable value. secret_key: This is used to provide cryptographic signing, and should be set to a unique, unpredictable value. queue_name: the server’s hostname Attention: it has to be set properly, or else storagedriver won’t be accessible. queue_name: the server’s hostname Attention: it has to be set properly, or else firewall won’t be accessible, and some network functions won’t work. Run the installation command below. Note: This might take a while. After installation is successfully finished, you should get a Failed: 0 message. If you got something else, please check the Troubleshooting paragraph. Log in to the CIRCLE admin website (the site is accessible on port 443). Name and password is in salt/pillar/installer.sls. After logging in the dashboard welcomes you. Now you can manage the whole CIRCLE. Virtual machines run on Nodes. We need to create at least one Node and add it to the system. 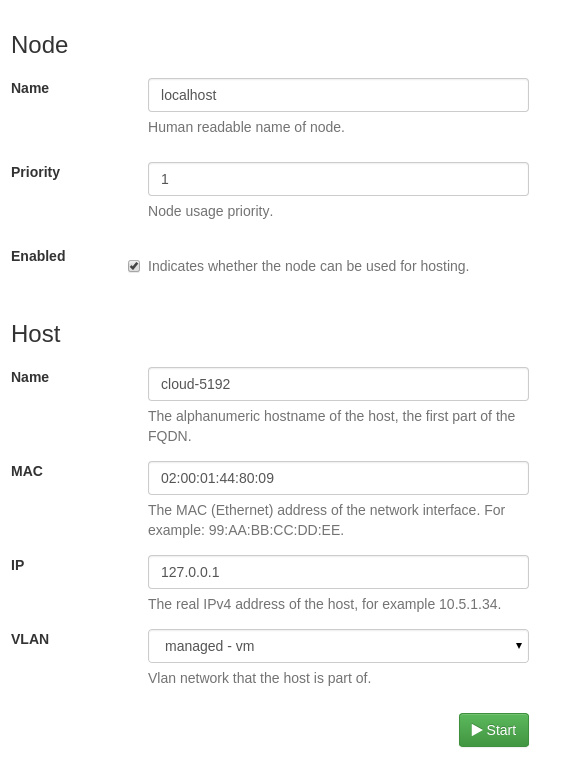 To do so click on the “new” button on the Nodes dashboard menu. For creating Virtual Machines (VMs), we use “templates”. Templates are images based on previously saved VMs. After a fresh install there aren’t any templates. To create a new one click on the “new” button on the Templates dashboard menu and choose “Create a new base VM without disk”. To proceed click “Next”. Following the above steps, you will be taken to the template’s configuration page. 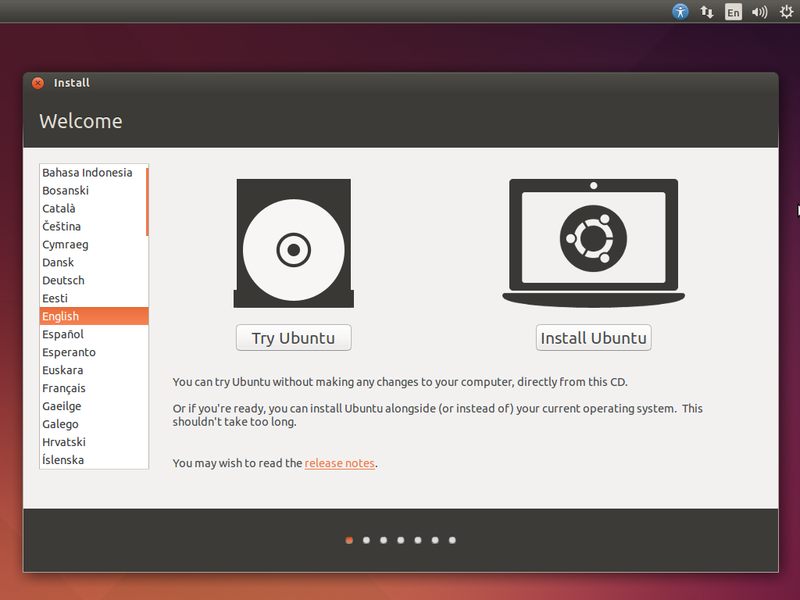 To properly configure the template, you must check the “boot menu” checkbox. Also note that fields marked with an asterisk(*) must be filled. That means you have to fill out the “Name” and “Operating system” fields, according to the operating system you are installing. Please choose the appropriate option from the “Networks” and “Lease” settings. Finally, you are ready to create the template by clicking “Create new template” at the bottom of this configuration page. Now you are ready to connect to the master virtual machine and make the necessary configurations and installations. Do not use any personal information in this step! After setting the master virtual machine up for further replication, it’s highly recommended to delete the downloaded ISO by clicking on the “Remove” button on the “Resources” tab. Now everything is ready to save the template. Click on the “save as template” button (see an example below). Fill in the name field with a name that represents what this template is about. This will save all the modifications you have done so far. Users who get permission to use this template are able to create their virtual machines with your saved settings. Maybe port 443 is closed. Check it and if it’s closed, open it.